Happy Wednesday! It's have been half of the week until the weekend. Have you start to plan for your weekend activities already? 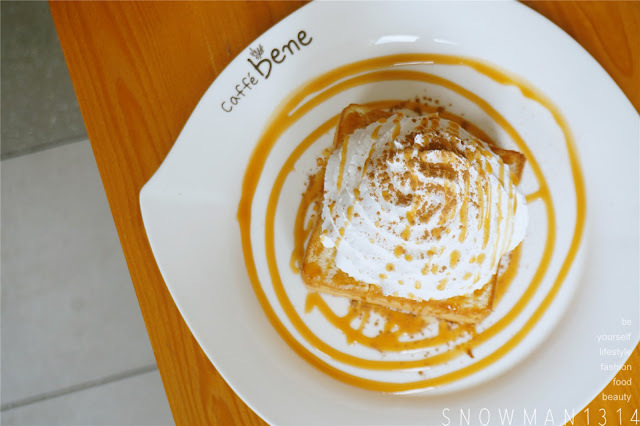 Definitely need to check out Caffè Bene Malaysia where you can satisfy your weekend brunch and dessert craving! 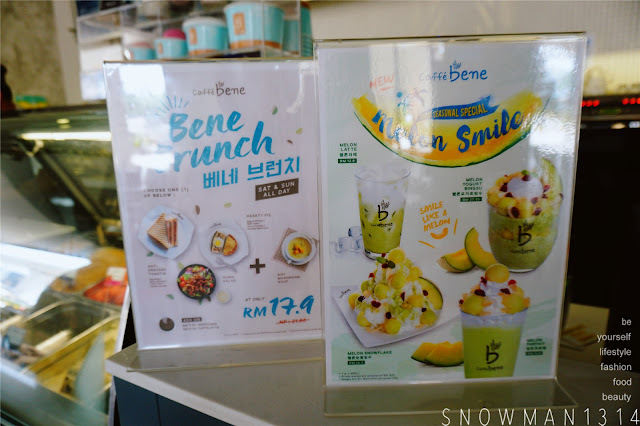 Not only that in this Seasonal Special, Caffè Bene Malaysia comes out with Melon Smile series will definitely bring your bingsu craving to a new level of sweet chilling sensation bingsu! 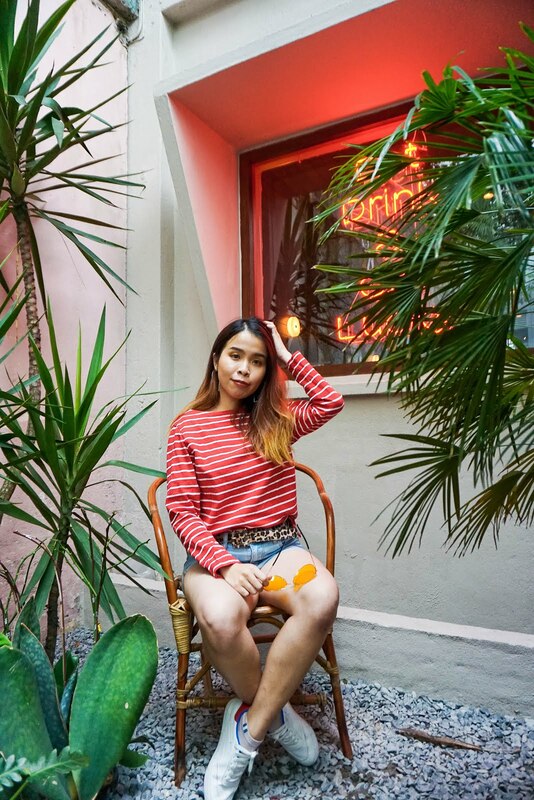 Brunch and Dessert craving fix in the same time. 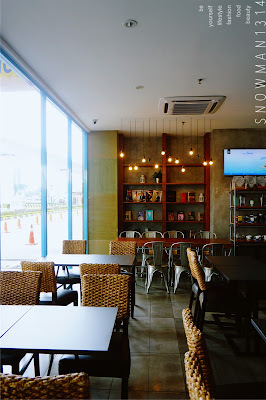 Seating and interior of Caffè Bene Malaysia at Puchong IOI Mall. 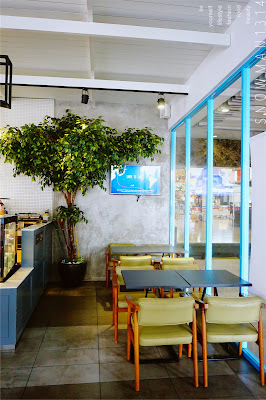 They have really spacious seating and the design is more to contemporary Korean cafe style. 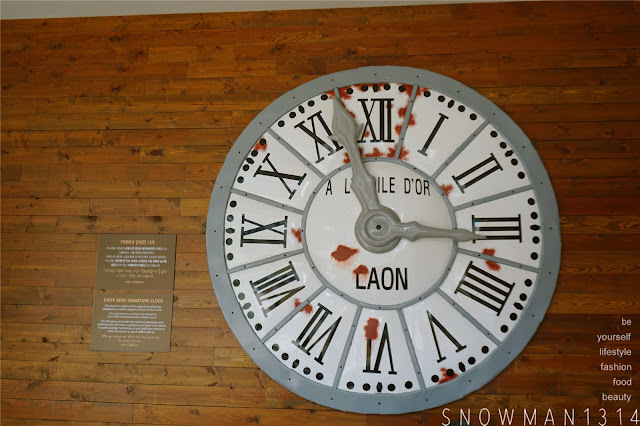 Signature Wall Clock design at all branches for Caffè Bene Malaysia. 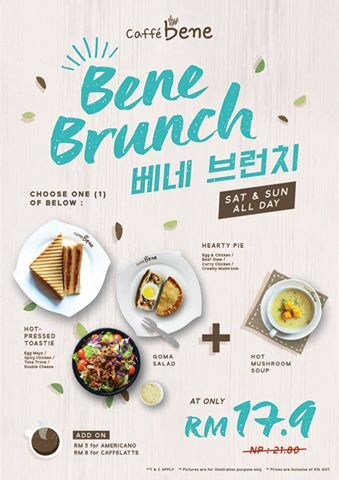 Let's kick start the weekend with Bene Brunch! 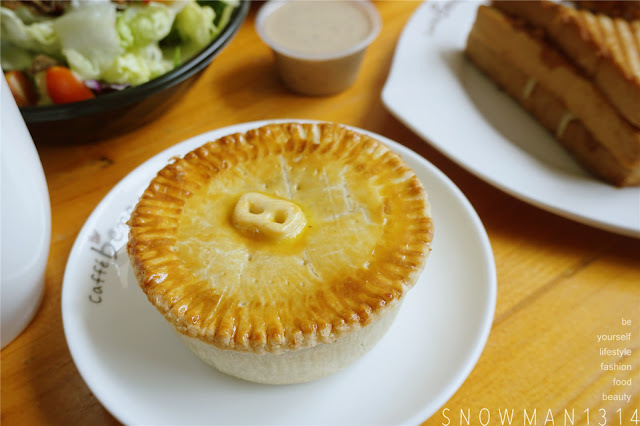 From each of the brunch selection above, from Hearty Pie, Hot Pressed Toast and Goma Salad you can choose either 1 and each comes with a hot mushroom soup with only RM 17.90. Please note that Bene Brunch only available on Saturday and Sunday for All day long. 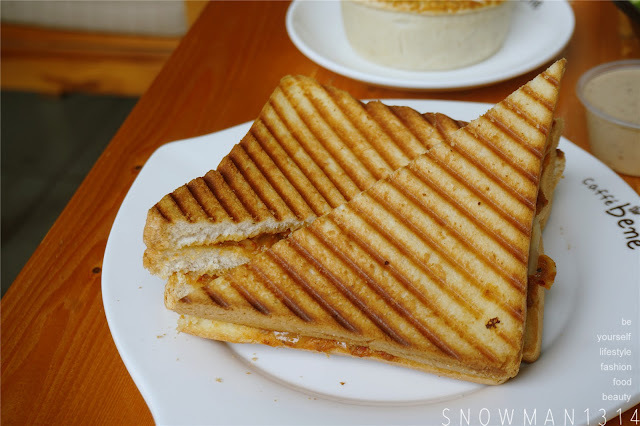 The Hot Pressed Toast is definitely one of my favorite among the bene brunch! Even it was cold and leave in under air-cond for quite some time, the crunchiness of the toast still remains. 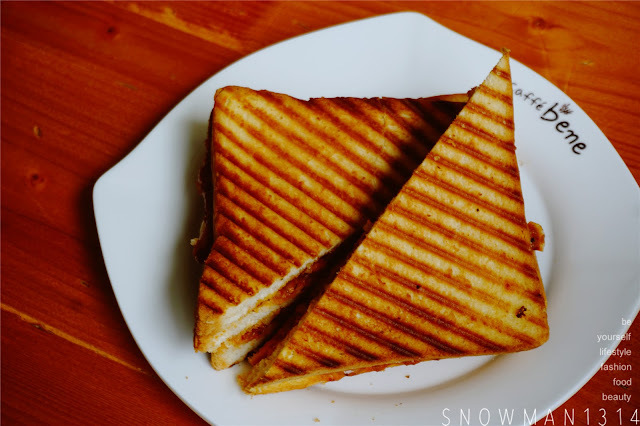 When I was enjoying my first bite, the crunchiness of the toast definitely surprise me and upon finishing this serving, you can fill up your stomach for quite a long time! 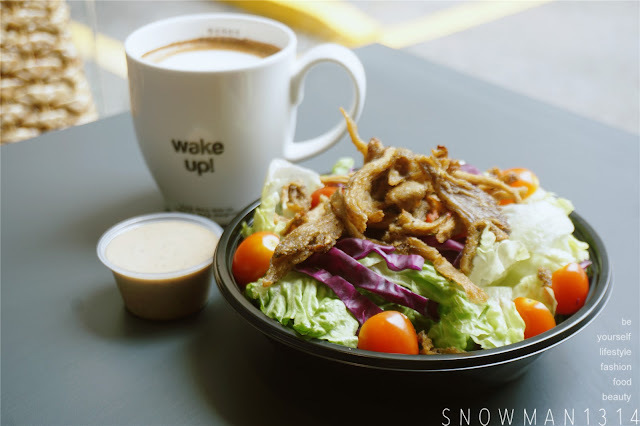 Goma Salad is definitely recommended to those who are in fitness and diet meal. 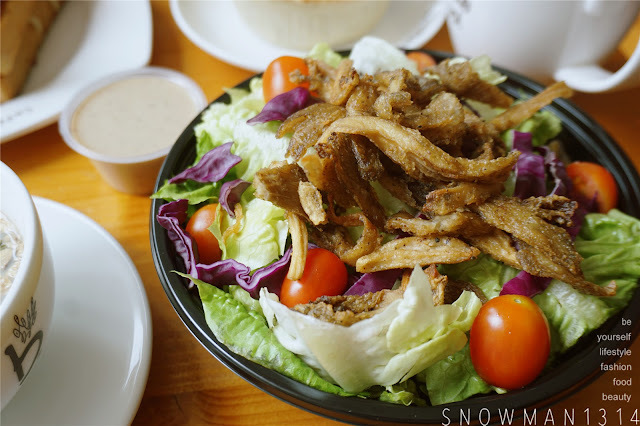 I love the fried mushroom mix with this goodness of salad. 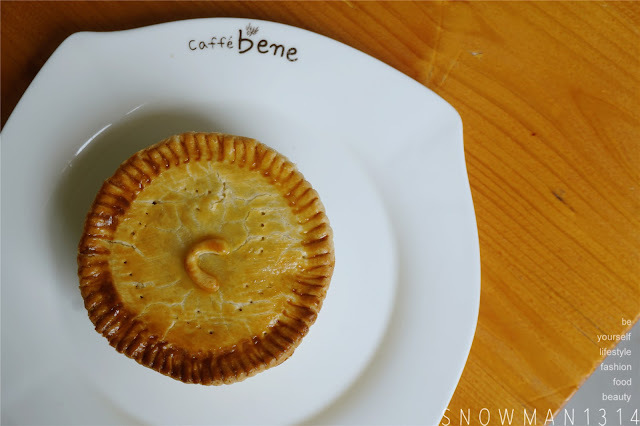 Hearty Pie from Caffe Bene. 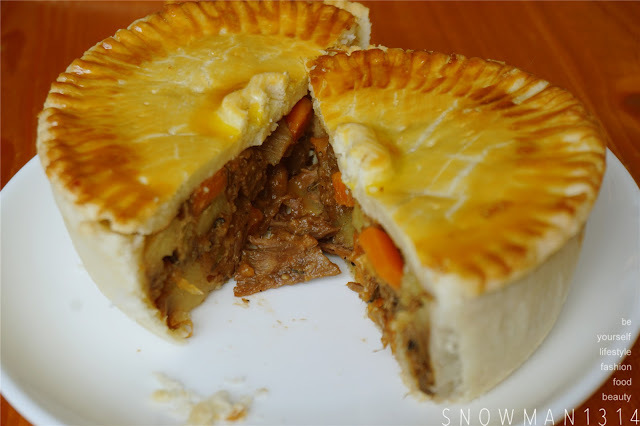 We tried the Chicken Curry and Beef Stew. Which C stands for Caffe and Chicken Curry and B stands for Bene and Beef Stew. 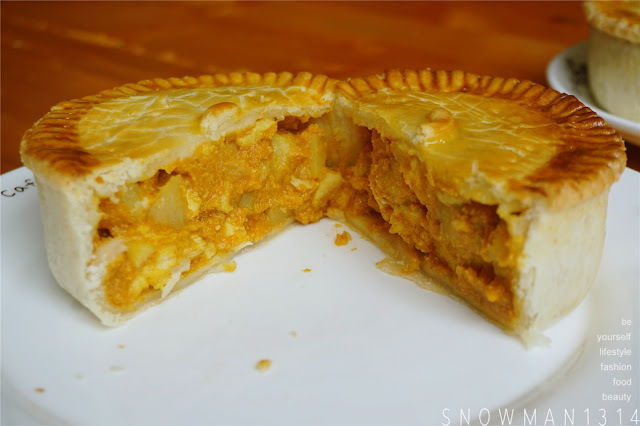 Chicken Curry filling was rather similar with the curry puff. 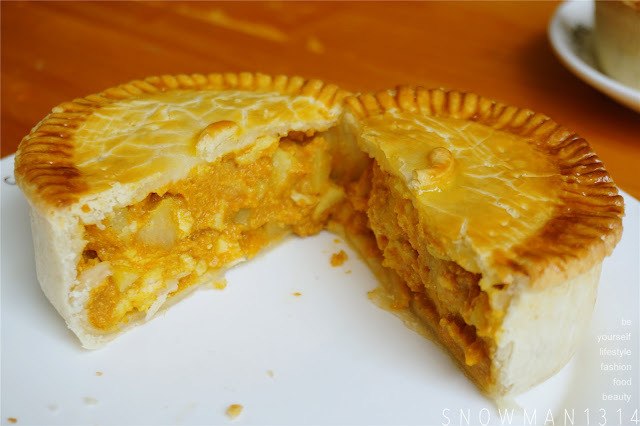 But with this pie crust and fillings together where you can easily feel stuff after finishing one pie. Whereas the Beef Stew will be something new to try on! The taste is not too strong but it gives the right aroma and taste you needed. Weekend Brunch with Bene Brunch! 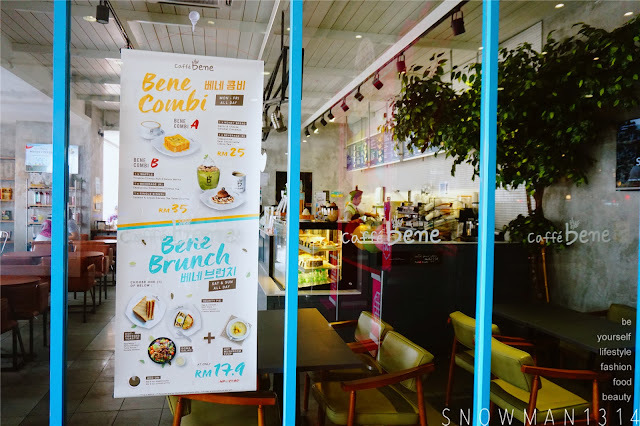 Not only that if you are a coffee lover you can also add on your preferable coffee while enjoying Bene Brunch at Caffè Bene Malaysia. 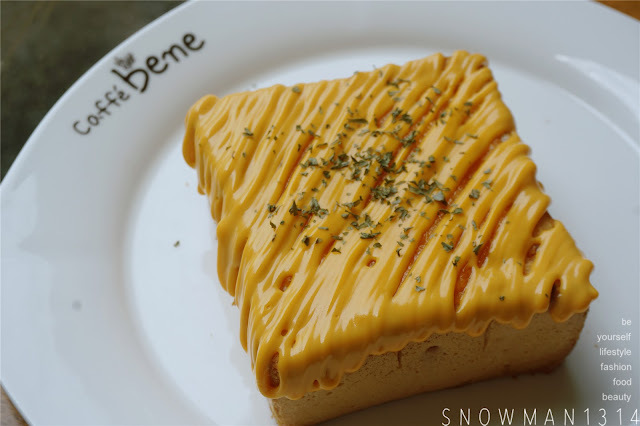 I never know that Caffe Bene served such delicious and yummy Honey Bread! 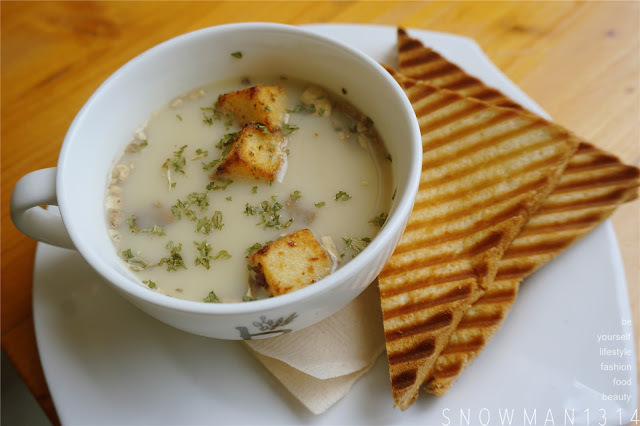 The texture of Garlic and Cheese spread on the bread was so rich and yummy. Feeling so tempted and guilty at the same time for eating this whole serving. If you are always on sweet tooth, you should definitely need to try out this Honey Bread with Caramel Cinnamon! The Cream is not too sweet with caramel and cinnamon topping on top. The sweetness of this serving was totally balance out! Next, we will move to the main character of this post! 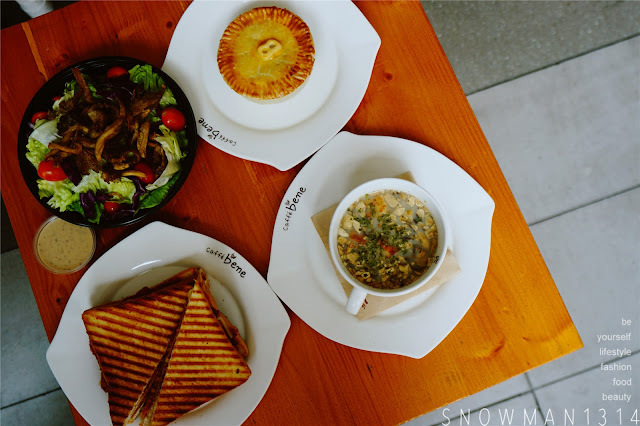 The Seasonal Special Menu Melon Smile launched at Caffè Bene Malaysia on the 2016 on 20 August 2016 featuring four new menu items. All menu items feature special melon base and fresh melon flesh which are scooped fresh at each outlet. This seasonal menu will be available until the end of October (31 October 2016) or until the season ends. 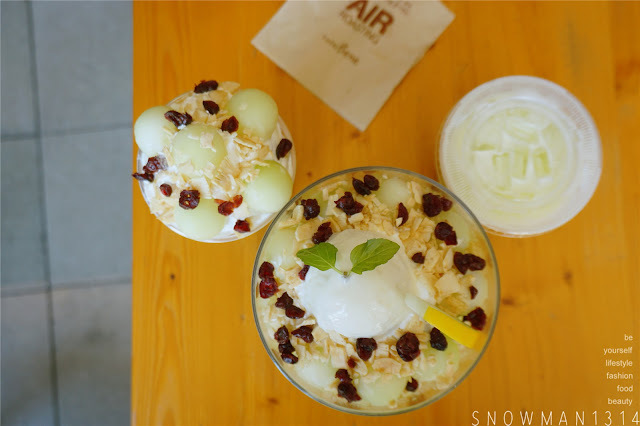 From Left: Melon Yogurt Bingsu, Melon Snowflake, Melon Parfait, and Melon Latte. 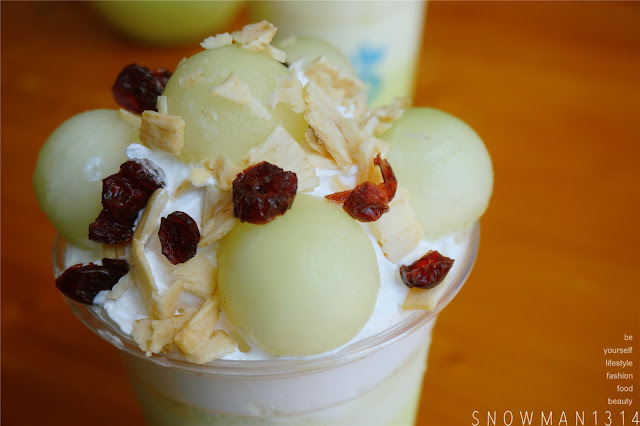 Sweet shaved vanilla snow ice drizzled with melon syrup and topped with fresh round melon balls, dried cranberries and coconut slice. 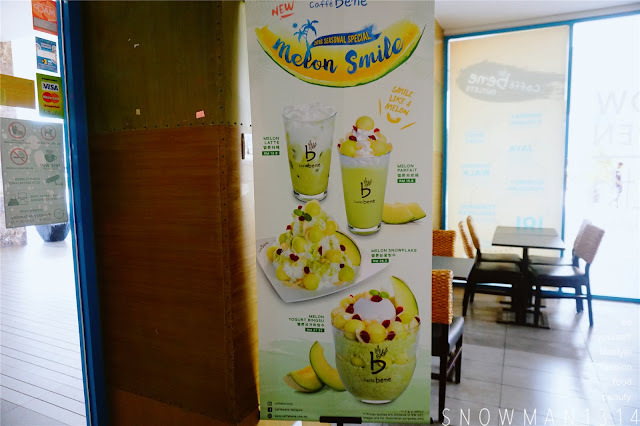 My favorite among the four new Melon Smile menu. 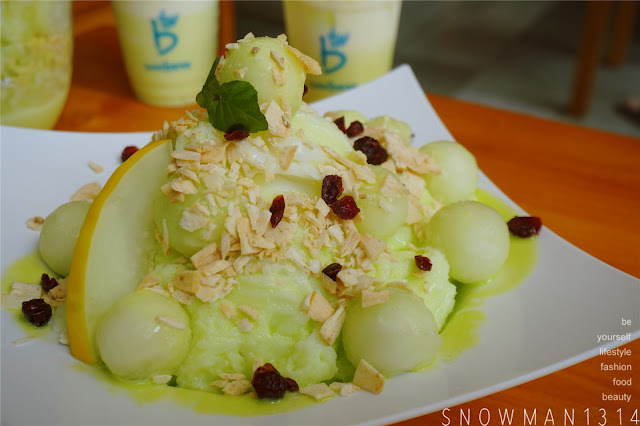 The taste of the melon syrup mix together with vanilla snow ice is so refreshing and strong. 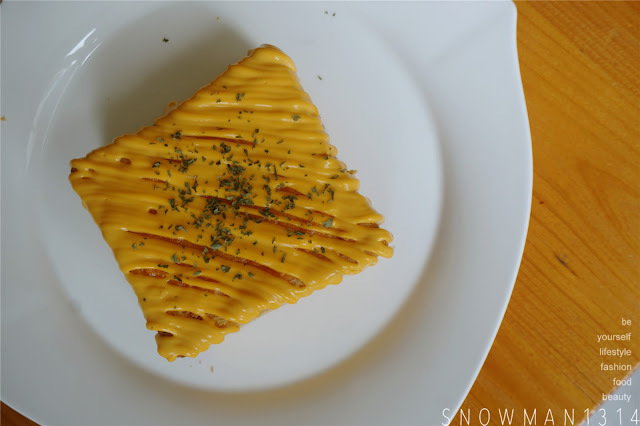 Although both are sweet craving but if you prefer to have more strong taste of Melon, you definitely should try this Melon Snowflake! 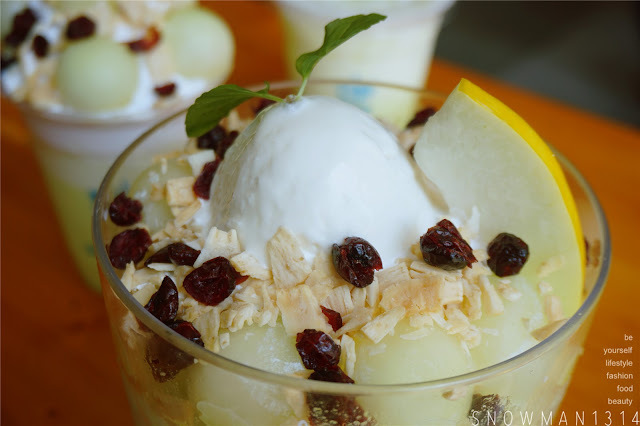 The topping with the dried cranberries and coconut slice was the best combination with all the Melon Smile menu item! The dried cranberries and coconut slice was a little spice up for the cold and sweet melon dessert. 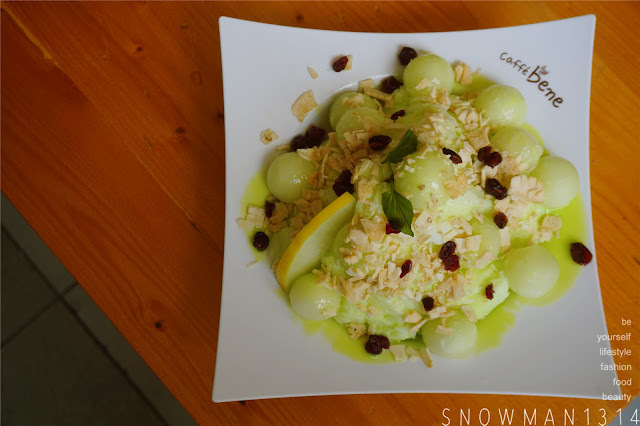 Crushed melon-base ice topped with fresh round melon balls, dried coconut slice, dried cranberries and one scoop of our creamy yogurt gelato. I am really enjoying this series so much! I love the fresh melon flesh(melon ball) which are scooped fresh at each outlet. When you taste each of the fresh melon scoop, it was so fresh and juicy. The sweetness and freshness definitely will put you in smile and make you feel happy! 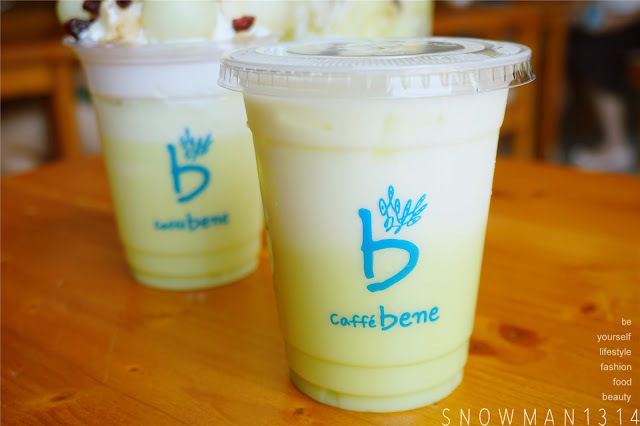 Freshly ice blended melon based was something you must try! If you are ice blended drink lover, you definitely need to try this. 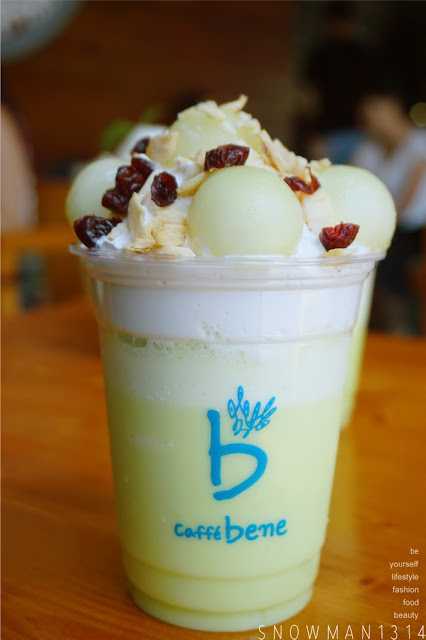 Fresh melon blended with melon base and milk making it smooth, creamy and a refreshing drink. Healthier choice of a Latte! 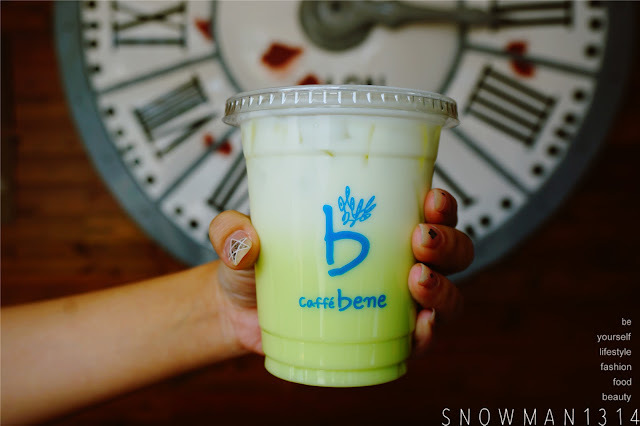 With the fresh melon blended and milk, this drink gives a smoother and refreshing drink compare to the normal Latte serving. Definitely a refreshing drink to waken up your weekend! Smile and Happy like a Mickey Mouse will do! 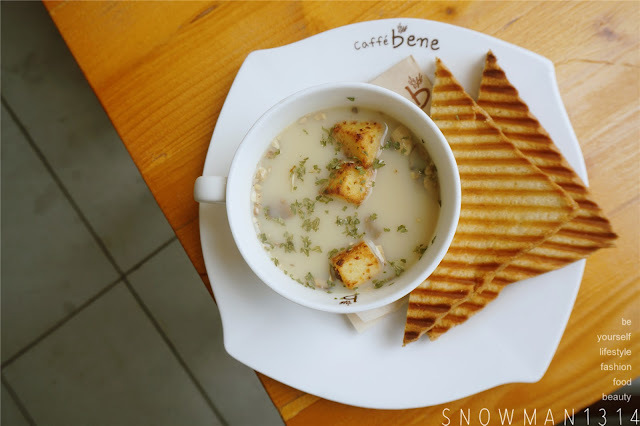 Come and spend you weekend date now at Caffè Bene Malaysia! Ever since I tried all the Melon Smile item, I immediately fall in love with all the Melon Desserts. It was the Freshest and Juiciest fruits I ever taste. 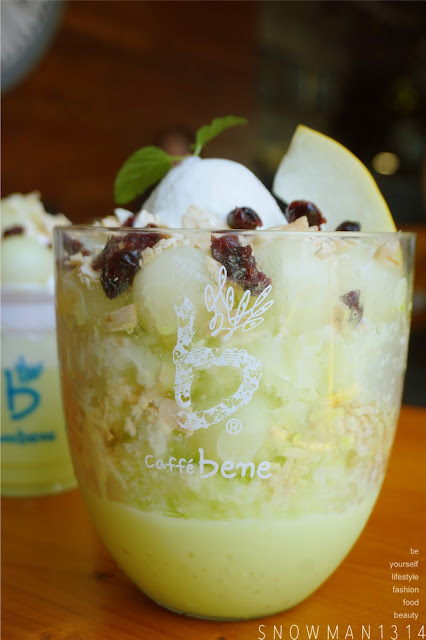 Caffè Bene Malaysia is able to create all these super yummy and refreshing dessert with Melon is going to make my day filled with happiness and sweetness. 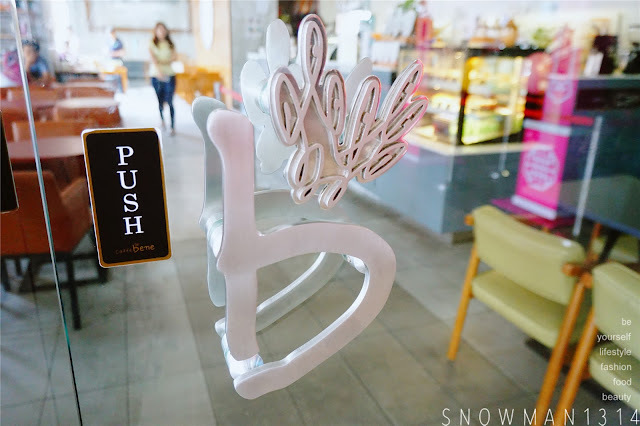 The European-inspired Coffee & Dessert shop first originated from Seoul, Korea since 2008. Caffe Bene now has over 1000 stores across 13 countries. 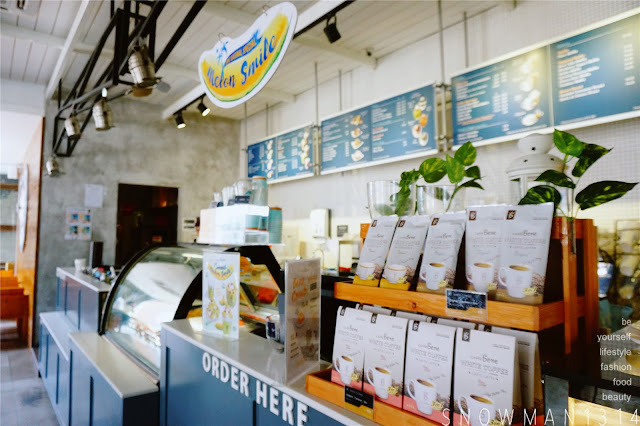 Caffé Bene Malaysia officially opened their first outlet at Sunway Pyramid in 2014 and currently has 10 outlets across Malaysia. 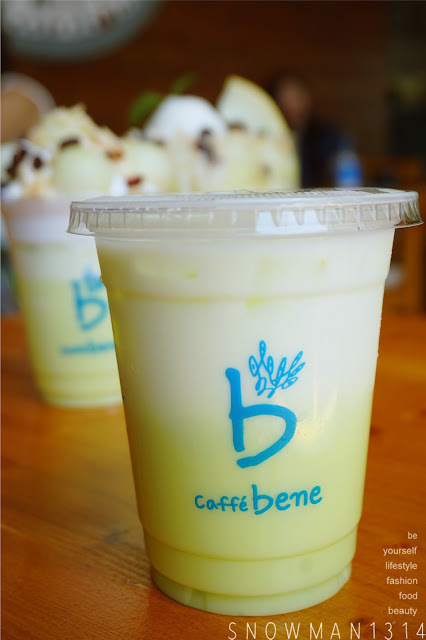 The brand name Caffe Bene is composed from two Italian words; ‘Caffe’ with the suffic ‘bene’, which means good. With this name which essentially means “Good Café”, Caffe Bene aims to offer the best coffee to customers through thorough management and monitoring principles beginning with securing new crops to roasting, blending, distribution and ultimately serving by our baristas. Experience the harmony and comfort of our coffee shop where you will feel free to relax, work or share great moments with good friends. One of my favourite desserts is the korean melon ice cream so I can imagine how tasty this should be! Looks like a good dish! Yes Yes! It was so niceee!! Awwww I think you will love this Melon series too!! I really wanna have a bite on that honey bread. It look delicious. Everything looks so yummy here. I love especially the honey bread with garlic and cheese. Me too =D I love Garlic and Cheese! never tried bingsu before. this seems very delicious! You should give a try dear! I don't go to IOI Puchong that often but when I do, I will definitely check out Caffe Bene. Thanks for your recommendation. I am impressed with your photography. Thanks Emily =D Glad that you like it! 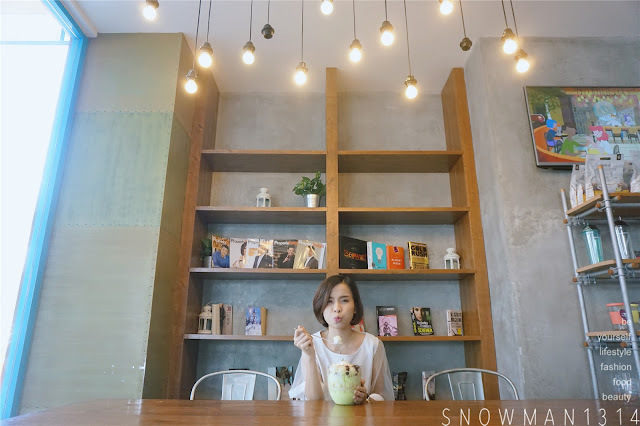 Whenever come to Bene, I still remember how tasty is their Bingsu. Their Goma salad is good and I love the pressed toast. Recommended place for hangout. wow...the food looks so yummy and delicious! !I love the melon snowflake!! 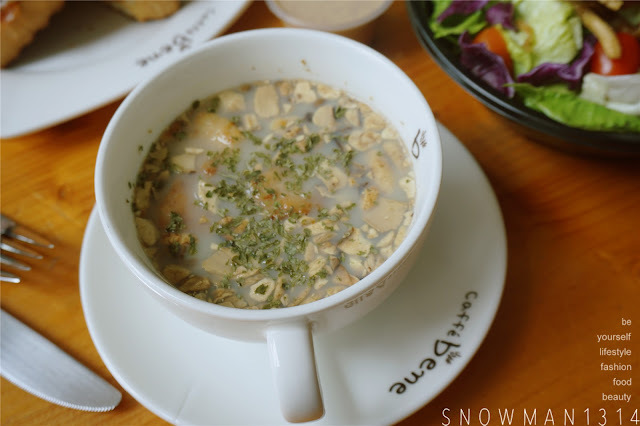 Wow~ Even Caffe Bene got menu like this? I thought they have bingsu and toast only. Wow! your photos making me so hungry. The dishes look yummy. 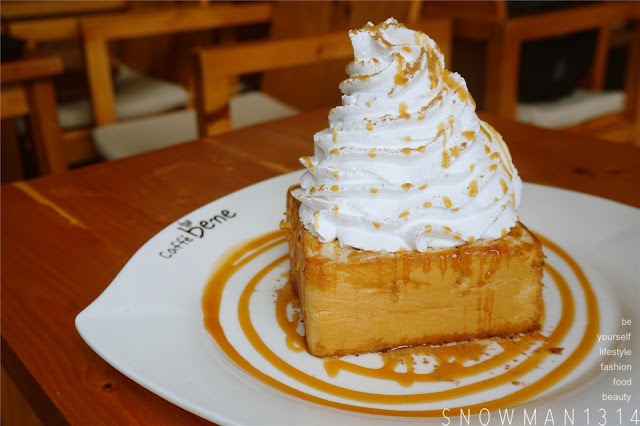 Honey Bread with Caramel Cinnamon would be perfect with ice cream instead of cream! Can't have enough of their bingsu!! 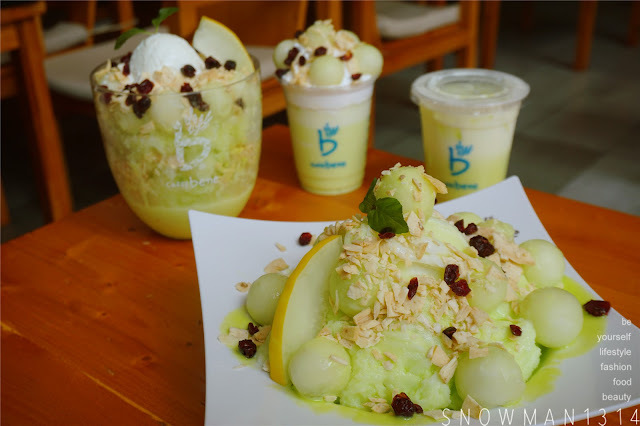 I love their bingsu, the rest of the dish I have not try yet. You should go and check it out!! 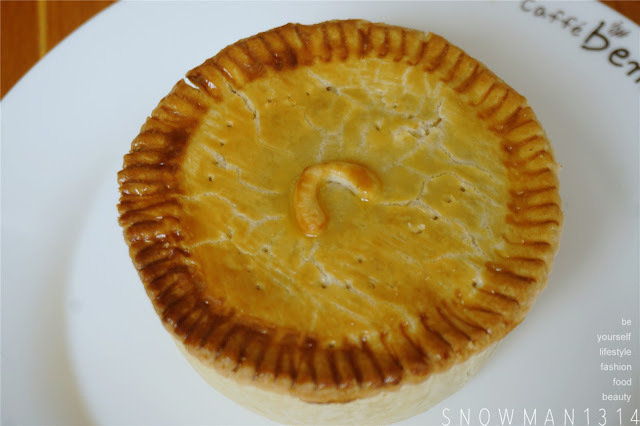 Hearty Pie looks really delicious. I want to go there this weekend to try it too. Bring your little angel along too! melon date? not bad at all..... i need a melon date now too.. pls?